Sacred Heart Academy was growing and needed to expand to accommodate classes currently meeting in the adjacent Church. By locating a new wing of classrooms, labs, offices and library in front of the existing building, we created a new “image” for the school. The tight site and sloping grade pointed toward a two-story solution that utilized a court yard and terrace to provide daylight to all of the new rooms. 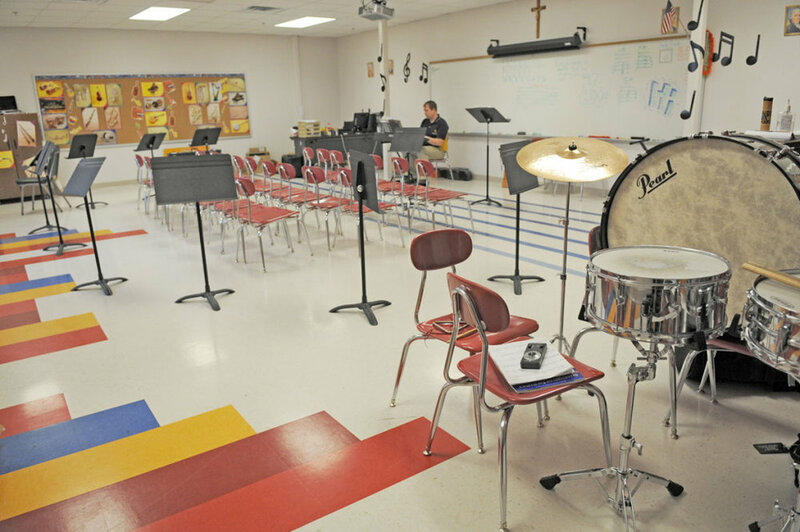 The program included new science and music rooms along with offices for the Parish coordinator.